Looks like motorola is serious. Excellent! Project Ara, Motorola's plan to create modular smartphones, is among the most ambitious ideas we've seen, but the company isn't wasting time in executing on its vision. 3D Systems has issued a press release confirming that it's partnering up with Motorola to "create a continuous high-speed 3D printing production platform and fulfillment system" for Ara. The deal announced today spans multiple years, and if 3D Systems is successful in building a manufacturing platform for Project Ara, it will also be creating its own Ara smartphone enclosures and modules "as Motorola’s exclusive fulfillment partner." 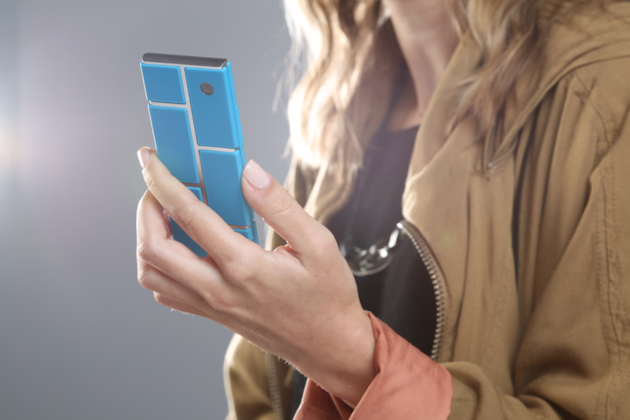 3D Systems CEO Avi Reichental said in a statment, “Project Ara was conceived to build a platform that empowers consumers all over the world with customization for a product made by and for the individual." According to Reichental, 3D printing "promotes a level of sustainability, functionality, and mass personalization that turns these kinds of global ambitions into attainable local realities." There's no telling when you'll be able to build your own smartphone with Project Ara, but Motorola is clearly taking steps to make the modular smartphone concept a reality for consumers. We've reached out to the company for more details.